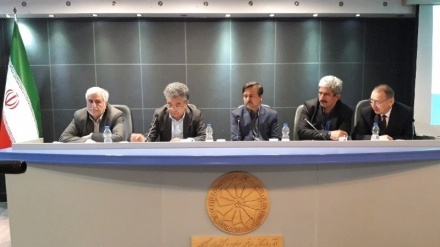 Iranian Health Minister Hassan Ghazizadeh Hashemi, heading a delegation to Baku on Thursday, said: "Iran and Republic of Azerbaijan are resolved to expand their cooperation in the fields of pharmaceuticals and medical treatment." Arriving at Baku airport Thursday morning heading a high-ranking delegation from Ministry of Health and private sector, Hassan Ghazizadeh Hashemi said the visit aims at expanding medical cooperation during meetings scheduled with a number of Azeri ministers. He added that meetings between the private companies of the two sides have also been scheduled, aimed at identifying and boosting areas of medical cooperation. “Iran is both ready to provide medical services to Azerbaijani patients in their own country, and to find ways to reach joint practical measures to organize the trips of Azeri patients to Iran for receiving treatment,” Hashemi said, voicing hope that those objectives will be realized during his trip. According to official statistics, the first choice for middle class Azerbaijani people to receive treatment for serious diseases is Iranian hospitals and doctors. The high quality of medical services, the low treatment expenses, shorter distance, and the close cultural and linguistic ties between the two nations bring a lot of patients from this northern neighbor to major Iranian border cities such as Tabriz, Ardebil, or even the capital Tehran.